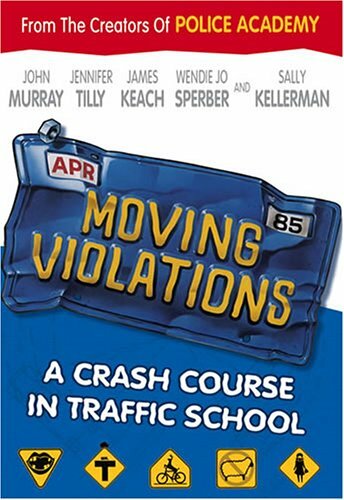 Moving Violations - BUY THIS DVD! Their licenses suspended, their vehicles impounded, a hapless band of misfits, malcontents and dreamers meet in traffic school. As it turns out, this isn't your ordinary run of the mill traffic school. The crew find themselves in the clutches of two over zealous police officers lead by the Judge to running the school so that the students are forever without licenses and cars. What ensues is a side splitting, tire screeching battle of wits. Who will be king of the road? THEN SEND IN YOUR NAME AND ADDRESS TO contests@efilmcritic.com. Put "YEAH F&!# HIM - RIP HIS NUTS OFF!" in the subject line and cross your fingers. We will draw names and one of the DVD packages will be yours. Only 1 entry per household.